"Although parents can get their child's back-to-school immunizations anytime in the summer, we always see a rush as the first day of school nears," says Griffin. 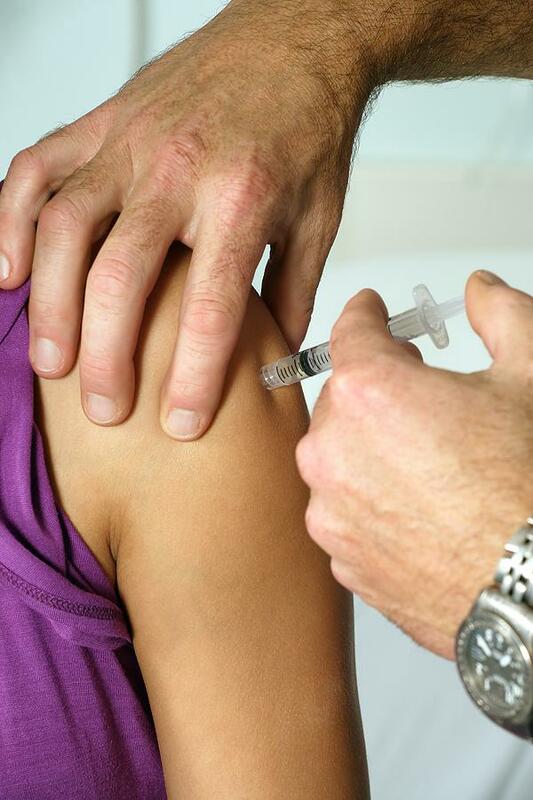 "Many schools will not admit them without updated vaccinations or a religious waiver." Mondays, Tuesdays, Wednesdays and Fridays from 8 a.m. to 3:30 p.m.
Thursdays from 8 a.m. to 12:30 p.m.
Saturday, Aug. 11, from 9 a.m. to 2 p.m. The department says people will need to bring a copy of their child's vaccine records or a school letter stating what shots are needed. If a child previously got vaccinated through the health department, copies of that record will be available when registering at the clinic. The shots are also free for kids who don't have insurance, don’t have vaccine coverage through their insurance, or are eligible for Medicaid's Vaccine For Children program. Follow KCUR health news on Twitter.